Future Farms, a proposal by UNStudio, envisions integrating agriculture into urban settings through projects such as the Amsterdam tower conceptualized above. 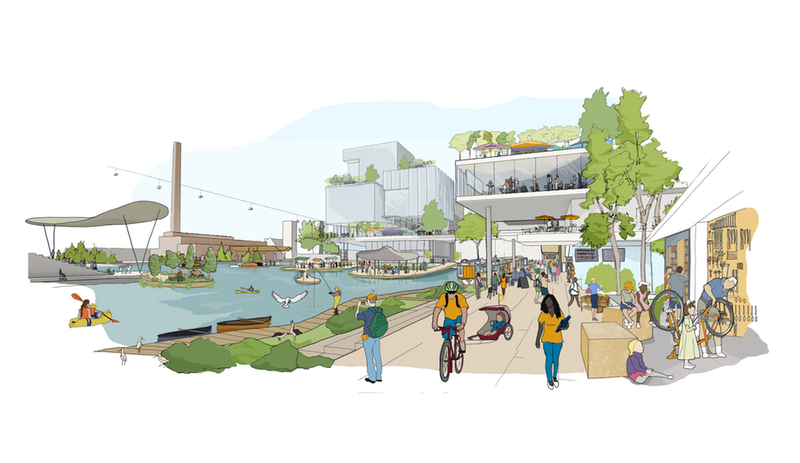 Since Sidewalk Labs was announced in 2017, the ambitious plan by Alphabet (Google’s parent company) to shape a 4.9-hectare chunk of Toronto’s waterfront into a “smart” neighbourhood has captured the world’s attention. The scheme ticks off all the right boxes: a cutting-edge transportation network (including autonomous vehicles), green public spaces, affordable housing. And all of it will be powered by open digital infrastructure. If the project goes forward, the details will take years to finesse. But examples of smart-city technology already exist elsewhere, offering disparate clues to what a smart community can be. After the first generation of smart cities resulted in sparsely populated cautionary tales (see Songdo International Business District in South Korea), we’ve fine-tuned our definition of “smart.” As applied to a product, building or city, smart technology needs to satisfy multiple needs at once, serving the individual, the collective and the environment by tapping into the 2.5 quintillion bytes we generate each day. In the product category, the once-revolutionary Nest thermostat has been unseated by bolder, app-enabled devices that go beyond Internet of Things integration. Foster + Partners and Artemide recently debuted Node, a ceiling track system automated by a single platform that allows lighting, HVAC and other functions to be tailored to various interior zones. And Flos’ Smart Control system enables office denizens to operate lighting fixtures with their smartphones, while Philips has come out with a Li-Fi system that transmits Wi-Fi at the speed of light. 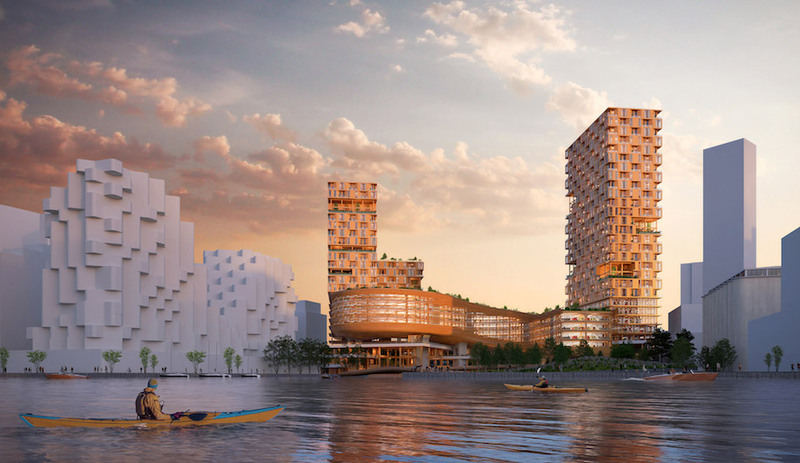 Now, with the launch of UNSense, Amsterdam architecture firm UNStudio is bringing this design-led digitization to everything from interiors and buildings to entire cities. 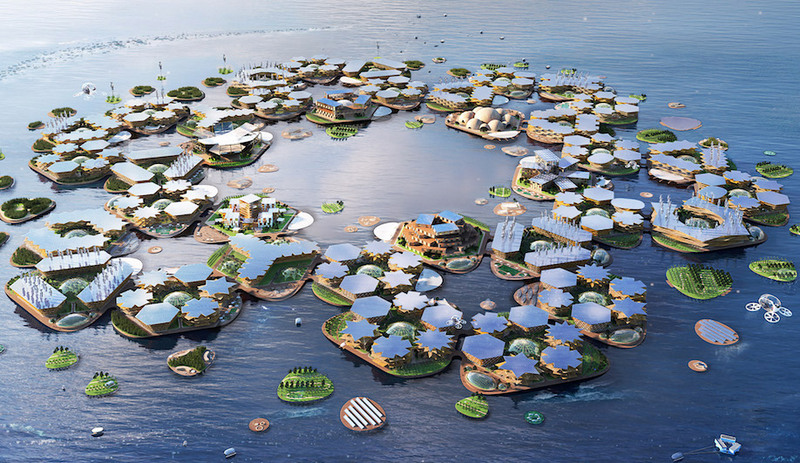 As founder and principal Ben van Berkel says, the goal of his new tech start-up is to de-silo the worlds of design, urban planning and construction. 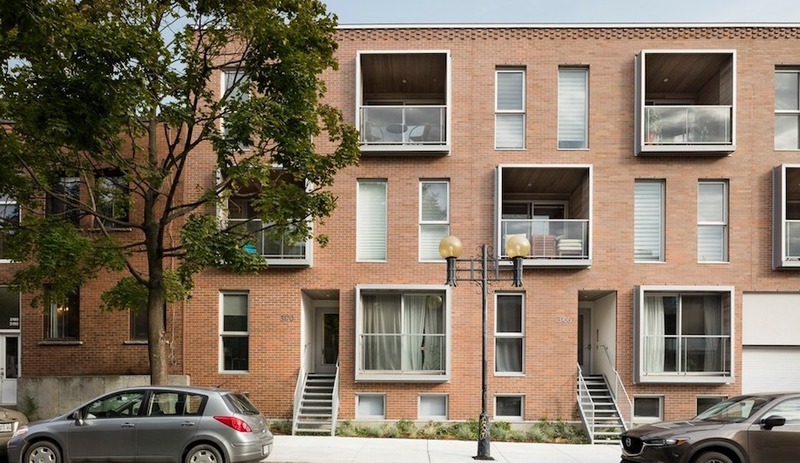 “I am of the belief that, in the future, all architecture practices will become arch-tech firms. But, for now, we have to pave the way to make this expansion of our knowledge and expertise possible.” UNSense’s projects-in-development include the RESET Stress Reduction Pods (interactive light-and-sound zones for the office), the Solar Brick (a P.V. 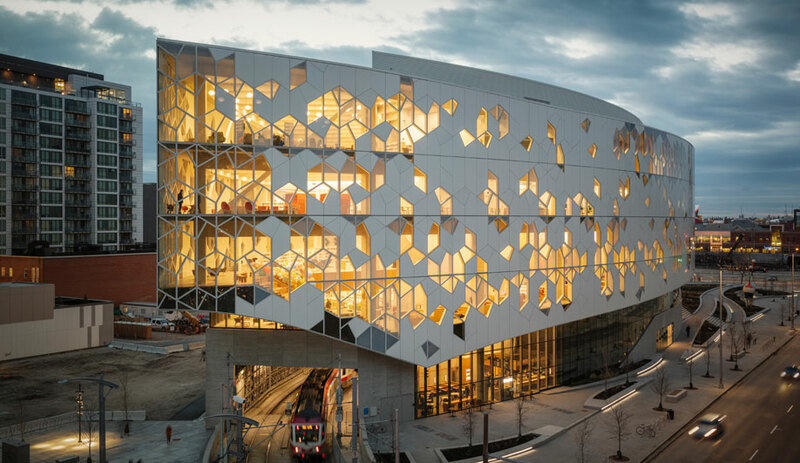 cladding module animated by dazzling rasterized patterns) and the CitySense smart-city program (which boasts data-driven street lights and interactive urban experiences accessed via a suite of apps). Van Berkel isn’t alone. Bjarke Ingels Group (BIG) and Carlo Ratti Associati (CRA) are merging their respective brands of sustainable hedonism and sensible city-making for a Singapore project called 88 Market Street. In the vein of Stefano Boeri’s Bosco Verticale in Milan and Singapore’s own Gardens by the Bay (with its mammoth Supertree Grove), 88 Market Street teems with nature, demonstrating that plant life and A.I. can go hand in hand. The 51-storey, mixed-use building, which broke ground in February and is slated for completion in 2021, will contain offices and residences as well as a massive food market and a green-rooftop oasis. It will be the centrepiece of a vibrant public space that includes walking and cycling paths. The project’s technological innovations begin with facial-recognition office entry and end with a transportation system that serves all of Singapore. Among its other innovations are customizable thermal-comfort zones (which CRA pioneered for the offices of the Agnelli Foundation in Turin) and robots tasked with assisting in cleaning and security.